EGGER are an austrian wood manufacturer who produce products, such as high quality laminate flooring, trend-setting materials for furniture and interior design, and environmentally friendly wood construction materials. 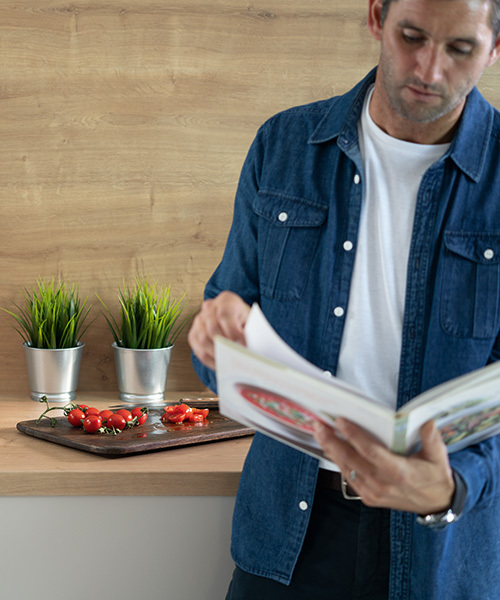 modern kitchens are designed for far more than just work; they are the center of the home and everyday life, according to EGGER, the austrian wood manufacturer. until just a few years ago, kitchens were separate rooms where food was simply prepared. nowadays their role has changed, thanks to open-plan designs that often combines them with a dining or living room. this not only presents a challenge to designers to create a multi-functional space but also one that presents a uniform look with no compromise on colors or styles either. 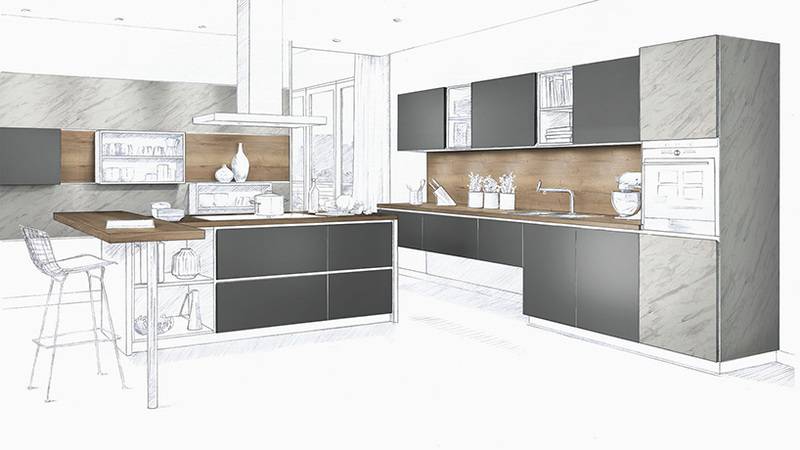 with EGGER’s expertize, technology and material guides, designboom learns how you can plan your perfect kitchen design. 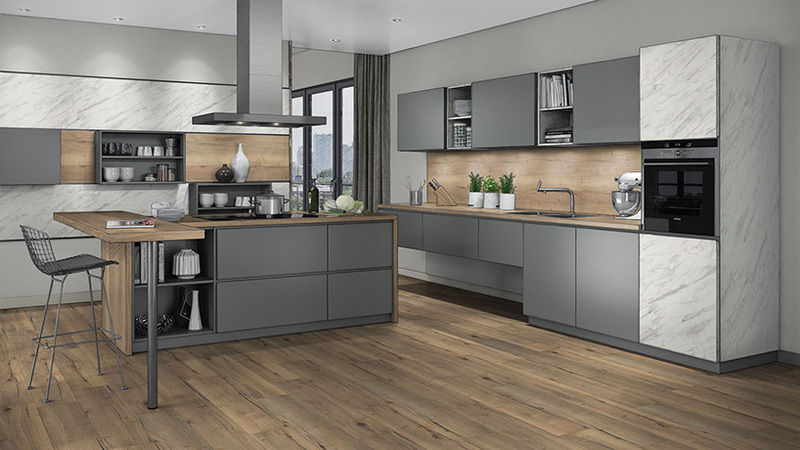 with the ongoing trend of open living rooms as well as isle and bar solutions, EGGER states that it is best to start your kitchen design by selecting the worktop/countertop. these can then combine with fronts, cabinets, splashback panels, shelves and even the flooring later. with its décor selection, many authentic options can be chosen such as deep textures with knots and cracks, stone and ceramic reproductions, or even feelwood surfaces. these reproductions look and feel like the real materials but are also more resistant, color-fast, and cost-efficient. in order to create a modern design, the same décor choice for the countertops should be used for the splashback panels. EGGER ensures that clients do not need to compromise in style as they offer a set of coordinated decors and materials at hand. these options are both highly resistant and easy to clean, delivering a kitchen that stays beautiful for longer. 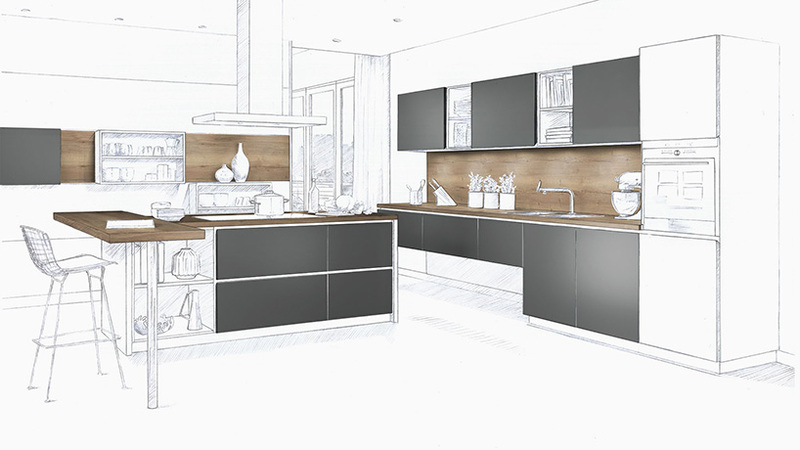 as the next step to creating your perfect kitchen, choosing the cabinet fronts truly depends on personal taste. they can be built easily and simply with the same décor as the worktops and panels, or they can differ to pose a contrast. 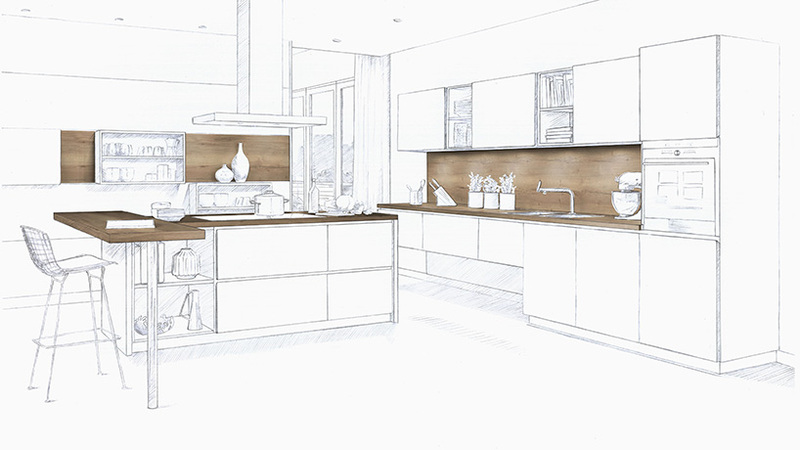 your kitchen design is nearly complete now; only the design of rest of the interior space remains. once again, EGGER offers a set of coordinated decors and materials to ease their configuration. however, for a truly eye-catching design, they recommend using a wall cladding that matches the front of the kitchen, which can range from marble to wood. as another component that is best matched with the countertops too, EGGER also enables clients to configure their flooring. whether its wood, stone or a tile effect, the addition completes the overall design. 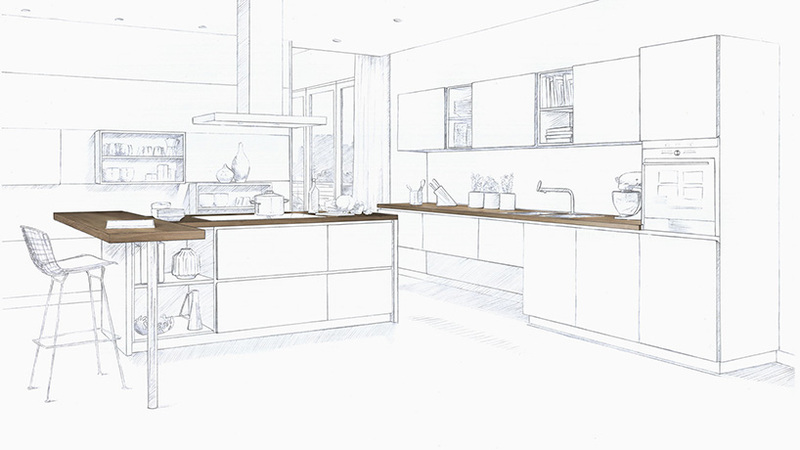 it highlights how, with a choice of coordinated options, you can achieve your perfect kitchen design.